JC Machinery showcased its latest and upgraded Vredo agricultural range at this year’s LAMMA. Both the Agri Twin and Agri Air series will be on display with the new Crop Drill System (CDS). 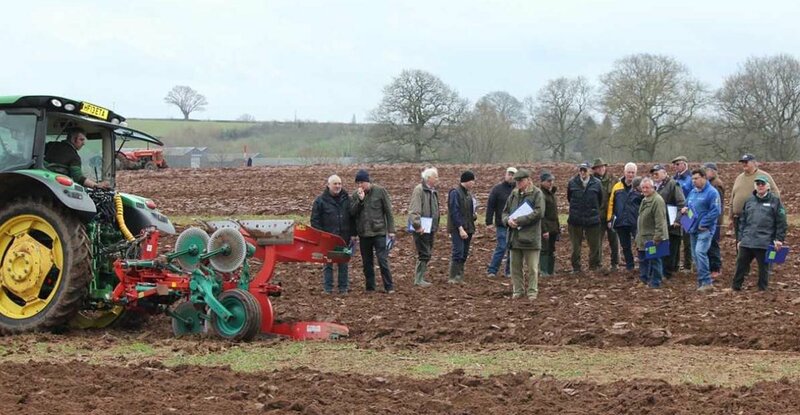 This innovation allows the machines to sow arable crops directly on corn stubbles without any tillage at a 15cm row distance, while keeping its well-known features for grassland overseeding. This makes the machines the only ones on the market that can overseed on grass and arable land. All Vredo’s overseeders are equipped with the Dual-Disc System that delivers a germination rate of 96 per cent. The seed is covered with soil to protect it from external predators and extreme weather conditions, guaranteeing a quick germination and deep rooting of the seed. Each machine displayed had its own speciality, from the up to 5.8m width of the Agri Twin to the the air injection of the Agri Air. The recent upgrade of the entire range has also brought with it a raft of benefits for customers. Everything from the aesthetics to functionality has been scrutinised and reworked to give a more customisable machine for the perfect overseeding experience.